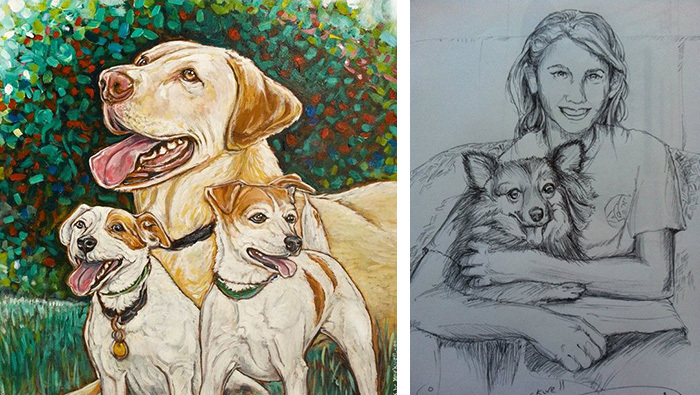 If you have a pet and would like a wonderful tribute, a very talented artist, Kevin Rockwell in South Carolina, does amazing animal pen drawings – as well as beautiful paintings. For one pet, it’s around $35.00 plus shipping. 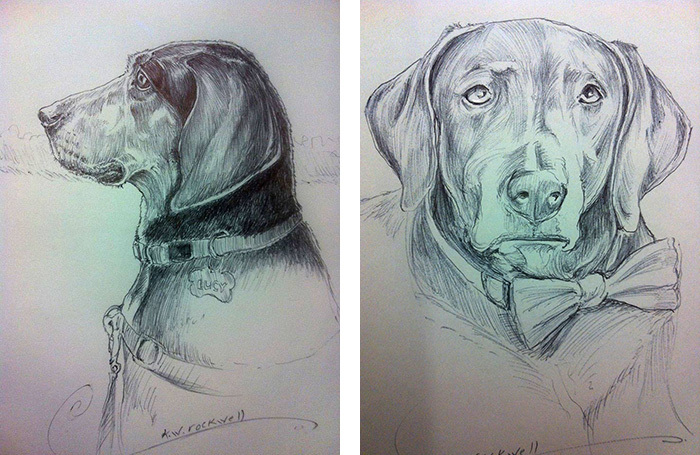 For $45.00 plus shipping you can having a drawing done with two pets or a pet and a person. You can see his portfolio of just a few of the beautiful paintings he has done over the years at the link below. 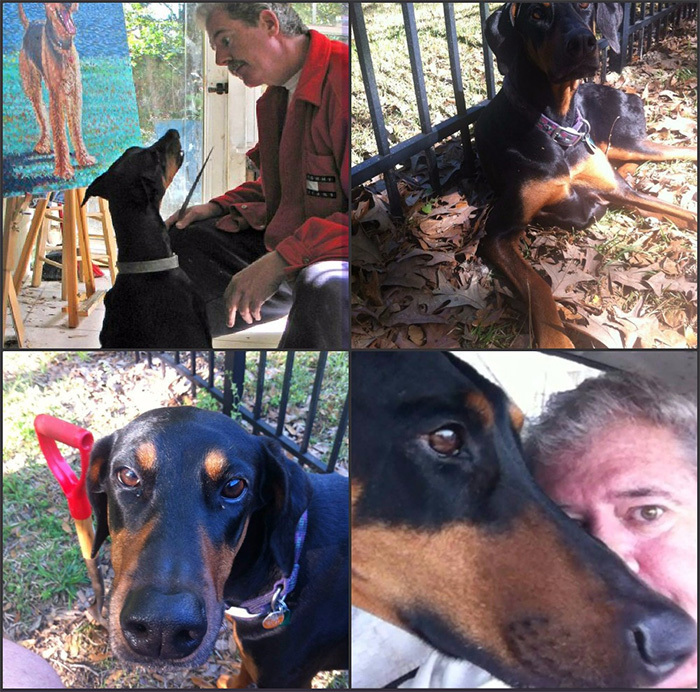 He has been homeless for sometime and has been living in his car with his doberman girl, Tammi. We started a fundraiser a few days ago and are trying desperately to help this bonded pair. Due to being unable to find housing that will take Tammi, he has been homeless for some time and living in his 1987 Honda hatchback. This car is not running and is currently in for repairs. It’s a rather desperate situation. 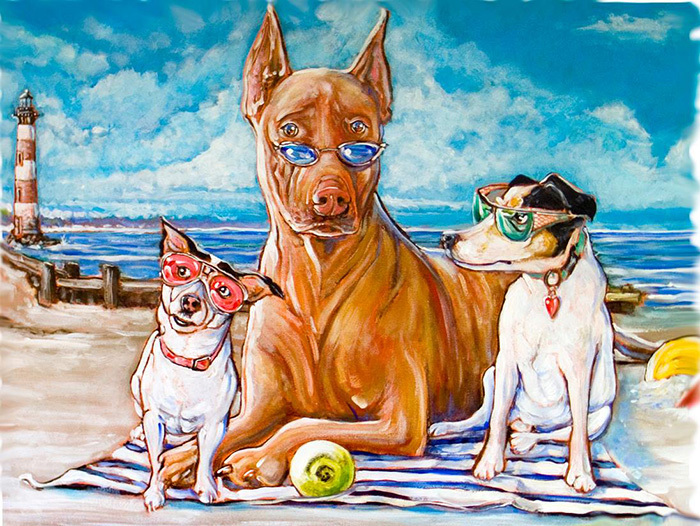 If you are interested in getting information on having a portrait of your pet, you can email him at the link below. Click here if you would like to contribute to the fundraiser account we have set up to help Kevin & Tammi. For a $10.00 donation I will deduct the $10.00 from all orders over $25.00. Just enter “donated” in the comment section of the shopping cart. Plus I will include a 1/2 ounce jar of the $8.00 Orange-Tangerine -Tea Tree Lip Repair, that we used to have on our site and you get the biggest reward of donating to help someone in need.